When your product becomes the primary association that a consumer has within a product category, then you have succeeded in creating ‘branding gold.’ In this case, it is black gold, or soy sauce, about which we are talking. Kikkoman Corporation is the world’s largest producer of soy sauce and its brand is the best-selling brand in Japan, with some 57 percent of its revenues coming from overseas sales. The company maintains several production facilities in Japan and overseas in Singapore, Taiwan, and the Netherlands, with two factories in both the United States and China. And this year it celebrates 20 successful years of European operations and continues to enjoy double-digit sales growth. In 1917, eight family-run soy sauce breweries in and around Noda merged to form Noda Shoyu Co., Ltd., the forerunner of today’s Kikkoman Corporation, although the company’s roots reach back to the 17th century. Soy sauce production prospered in the Japanese city of Noda, located in Chiba Prefecture which provided convenient access to raw ingredients and prompt deliveries for mass consumption in Edo, now known as Tokyo. When Japan emerged from isolation in 1868 and opened up to the world, Kikkoman started exporting its soy sauce to Europe. It received honors at Expo Vienna in 1873 and Expo Amsterdam in 1883 and eventually became to be firmly established in the European market. Kikkoman’s worldwide success has, to a large extent, been due to a winning combination of a good basic product, iconic well-designed packaging, and clever strategic marketing. 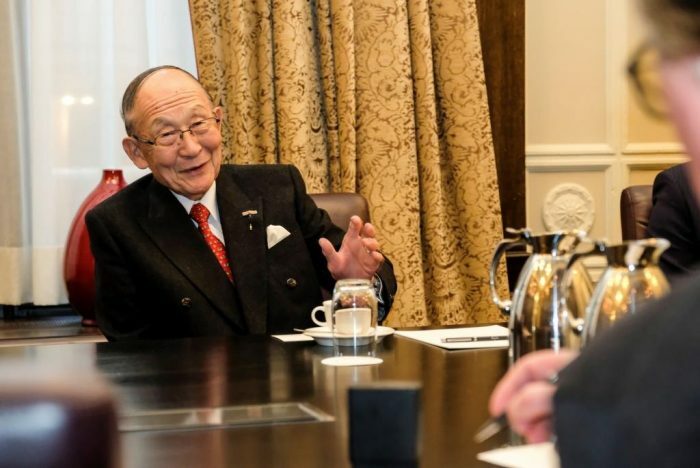 Mr. Yuzaburo Mogi, Honorary CEO and Chairman of the Board of Directors comes from one of the brand’s original founding families and largely spearheaded the brand’s success in the United States. Visiting the Netherlands on the occasion of the 20th anniversary of the company’s European operations recently, Mogi stated, “At that time, if we had concentrated solely on Japanese food, we would never have been able to grow the sales volume to satisfactory levels.” In a clever move, the company engaged the services of local home economists and cookery schools to come up with American-based recipe suggestions. The result was that new consumers became enthused and inspired, trying this not well-known as yet new seasoning. This original strategy has proven to be fundamental to Kikkoman’s global success as, rather than adapting its product to suit individual market tastes, Kikkoman develops recipes that work with the existing food culture, opening up new possibilities for what is a basic, standard food seasoning. Back in in 1969, Kikkoman began operating the American-based Japan Food Corporation, which would grow to become the present-day JFC International. The focus of this business continues to be the wholesale of Oriental food products, with a particular emphasis on Japanese ingredients. In this respect, Kikkoman and JFC are very much ambassadors for quality Japanese food products worldwide. An unexpected boost for the industry came in 2013 when Unesco designated Washoku – traditional Japanese cuisine – as food-related intangible cultural heritage. 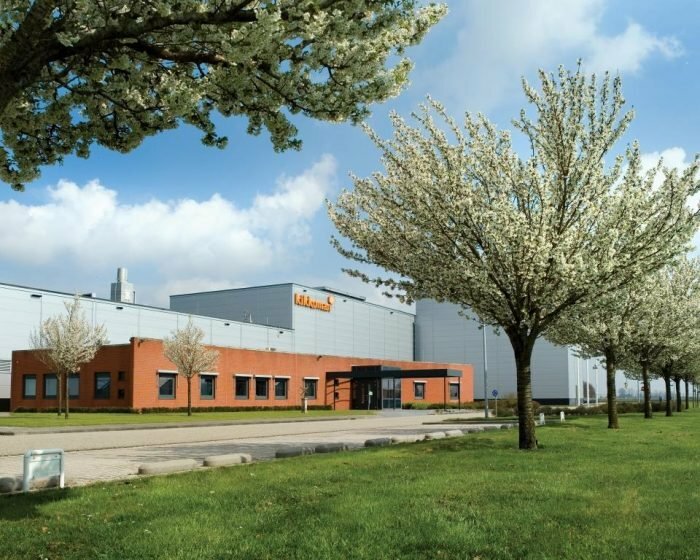 Since opening in 1997, Kikkoman’s European production operation at Hoogezand Sappemeer in the Netherlands has seen healthy and sustained double-digit growth. This is due to the success of European-based recipe offering and also because of explosive growth in the popularity of Washoku such as sushi. The decision to locate a production facility in the northern Dutch city was not randomly made. The high-quality water, logistically ideal location, and the availability of land made it the perfect site. The plant in Hoogezand-Sappemeer uses state-of-the-art technology to produce Kikkoman’s high quality traditional products. In 2007, the Kikkoman opened an additional location, focusing on R&D, in Wageningen, the Netherlands due to its proximity to FoodValley, with its concentration of food research facilities. In 2009 researchers from Kikkoman Europe and Wageningen University, Center for Innovative Consumer Studies demonstrated that it is possible to replace salt in foods with naturally brewed soy sauce, and at the same time lower the salt content in the dishes without decreasing consumer satisfaction. With its collaborative approach and deep understanding of the markets in which it operates, Kikkoman has come to dominate the global market. “Our selection of the Netherlands for our European production and development base and our successful collaborations with R&D institutions based here has proved advantageous.” Something that Mr. Yazaburo Mogi justifiably views with great pride and pleasure.